Summary: When you’re an identical twin, your story always starts with someone else. For Iris, that means her story starts with Lark. Iris has always been the grounded, capable, and rational one; Lark has been inventive, dreamy, and brilliant—and from their first moments in the world together, they’ve never left each other’s side. Everyone around them realized early on what the two sisters already knew: they had better outcomes when they were together. 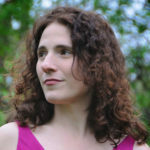 About the Author: Anne Ursu is the author of Breadcrumbs, named one of the best books of 2011 by Publishers Weekly and the Chicago Public Library, and The Real Boy, which was longlisted for the National Book Award. 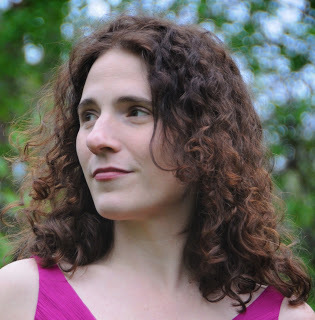 She is also a member of the faculty at Hamline University’s MFA in Writing for Children and Young Adults. Anne lives in Minneapolis with her family and an ever-growing number of cats. You can visit her online at www.anneursu.com. Review: Anne Ursu has a way of telling what seems like an ordinary tale and adding twists and turns that the reader does not expect but once you are on the narrative ride she has created, you never want to get off! And although I am always skeptical of magical realism, she does it in a way that just makes her books seem like realistic fiction that just happens to be bit magical, so it is hard not to buy in. 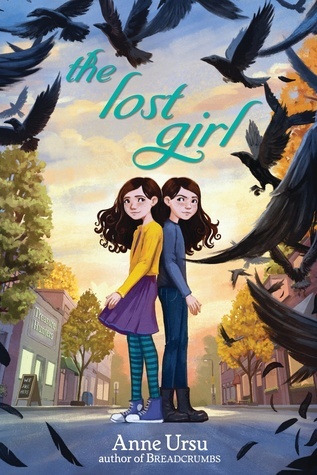 In The Lost Girl, the story also is fascinating in the way that the author plays with the narrator/point of view as well as how she shapes both girls equally as the story moves between their narratives and shows the strengths and weaknesses in both. It is impossible to tell who the lost girl is and who is the ones saving because both sisters feel like they play a part in saving the other. I’m still thinking about responsibilities, love, and protection long after the book ended. You are going to love Lark and Iris and will root for both of them until you turn that final page. Teachers’ Tools for Navigation: There are readers who need this book. There are kids that don’t feel like they belong in this world or kids who feel like they don’t mesh with others their own age or kids dealing with a huge change in their life. These are the kid who will need this book. They need the lost girl to guide them. Which of the twins is the lost girl? How did the crows play a part in the story? Without the magic in the story, how would everything have been different? What mistakes does Iris make in her decision making once the girls enter 5th grade? What lesson are the adults trying to teach the girls? How did the Club Awesome girls turn out differently than Iris assumed? What does this tell you about them? Iris? How are the sisters alike? Different? Flagged Passages: “Once upon a time, there were two sisters, alike in every way, except for all the ways that they were different. Iris and Lark Maguire were identical twins, and people who only looked at the surface of things could not tell them apart. Same long busy black hair, same pale skin, same smattering of freckles around the cheeks, same bright hazel eyes and open face. But Iris and Lark had no patience with people who only looked at the surface of things, when what lay beneath was the stuff that truly mattered. Because the girls were identical, but not the same. Iris was the one who always knew where she’d left her shoes. Iris was the one who could tell what the collective nouns were for different animals and that Minnesota was home to the world’s largest ball of twine. Iris always knew when her library books were due. Lark always knew when their parents had been arguing. Lark could tell you what the consequences for stealing were in different fairy tales, and that the best bad guys had interesting back stories. Lark always knew which books she wanted to check out from the library next. Don’t miss out on the other stops in the blog tour! The family and friendship themes as well as the author’s writing make this book a must read for me. I will enjoy every minute inside this book. I picked up a copy of this at NCTE and I cannot wait to read it! I’d love to read it at the same time as a student and then discuss afterward. We would definitely use your discussion guide! This is one on my list for sure. I love Anne Ursu’s stories & you’ve made this a must-read! I really like this part of the passage that you flagged, “Once upon a time, there were two sisters, alike in every way, except for all the ways that they were different…” Conjures up a lot of questions. I have this on my TBR. I am very excited about this book! It’s on my list and I hope to read it sooner rather than later. Thanks for the review and the teaching guide (and the opportunity to win a copy!!). Just that first question in the discussion guide intrigues me. The fact that there might be a question about which of the sisters might be the lost girl makes me eager to answer that question for myself. Really looking forward to this book!! I think the exploration of what it’s like to be a twin is fascinating! My MG students will enjoy reading this story. Very excited to read this one!! I have been eagerly awaiting a new book from Ursu. She writes lovely, lovely books! Also, her Nerdybookclub post was awesome this week.